The Friends of LLELA 501(c3) are proud to support the mission of LLELA with sales of native north Texas plants. 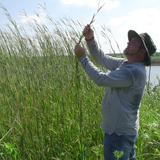 For more than eight years, we have been collecting local wild seed and cuttings for the 2,000 acre LLELA restoration work, and are pleased to be able to give back to north Texas through making these local species available to the public. Enjoy browsing our store, and if there is something we don't advertise, please ask. We will expand our store based upon your requests.